Team from 2016 Steel City Codefest. Photo by J. Altdorfer Photography. When studies showed Pittsburgh’s growing tech scene had a diversity problem, the city reacted with the Roadmap for Inclusive Innovation. Created in partnership with the Department of Innovation and Performance and the Urban Redevelopment Authority (URA), the plan seeks to make the city’s technology boom accessible and beneficial to everyone. The Roadmap’s mission continues with the second annual Inclusive Innovation Week, a citywide initiative promoting equality in Pittsburgh’s tech and maker scenes. From March 31-April 7, neighborhoods across Pittsburgh will play host to Inclusive Innovation Week programming, including free interactive youth activities, informative discussions, and events showcasing women artists, business owners and technologists. Christine Marty, civic innovation specialist for the City of Pittsburgh’s Department of Innovation & Performance, says one takeaway from the first Inclusive Innovation Week is that it provided an opportunity for local government to form partnerships with leaders in the nonprofit, tech and education sectors. “It opened our eyes to all the current opportunities that the city can work with as opposed to developing our own thing,” she says. She adds that the event has expanded significantly from last year. The number of partnerships has grown nearly three-fold from 47 to 126, while events increased from 63 to 74 and growing. The happenings range from free admission to the Children’s Museum of Pittsburgh and Carnegie Museum of Art, to presentations by experts in green innovation, community activism, data gathering and more. For aspiring entrepreneurs, there’s even the chance to meet investors during open pitch meets with Birchmere Ventures and velocityHUB. To further engage the community, two digital platforms will become important parts of the event. City officials, including Mayor Bill Peduto and various council members, will use 412 Food Rescue’s volunteer app as part of a challenge to salvage 15,000 pounds of wasted food in one week. Organizers will also launch JustWrite, an online journaling portal where attendees are encouraged to submit their Inclusive Innovation Week experiences. “Instead of doing a formal survey, we’re trying to see if people will give us more feedback through storytelling,” says Marty. 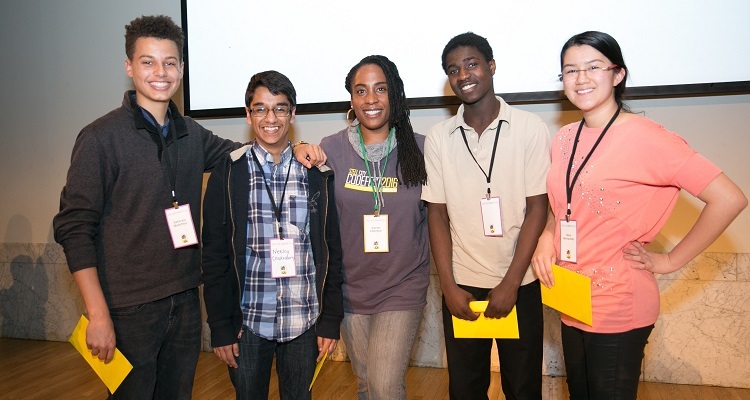 Presented in conjunction with Inclusive Innovation Week is Steel City Codefest. 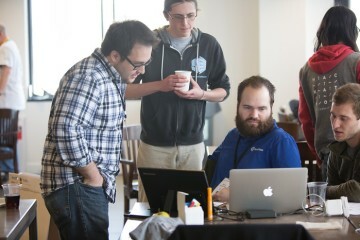 Created five years ago, the annual “hackathon” gathers tech professionals from all over the region for a week of networking and coding. Compared to other events of its type, Steel City Codefest coordinator Jennifer Wilhelm believes it attracts a wider array of people, making it a perfect fit for Inclusive Innovation Week’s mission. “It’s actually quite amazing — the diversity of gender and race of the people who do participate,” says Wilhelm, who also serves as the URA’s manager of innovation and entrepreneurship. This year, Codefest comes to Inclusive Innovation Week with a new mission: building apps that solve challenges submitted by organizations working in several key areas. “The idea is that these are [challenges] that there is no real viable or cost-effective solution for out there in the market,” says Wilhelm. Codefest participants will build apps to help the Bloomfield-Garfield Corporation and the Westmorland Museum of Art connect people to the arts in their communities, better prepare the Emergency Management Agency (EMA) of Allegheny County for natural disasters, and enable the Pittsburgh Three Rivers Marathon to instill lifelong, healthy habits in area youth. 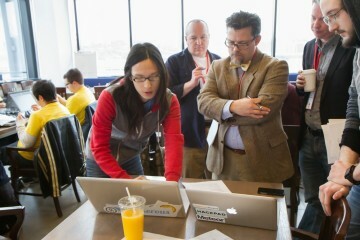 Unlike previous years, Codefest will also help teams complete their apps with financial support provided by The Forbes Funds and the BNY Mellon Foundation of Southwestern Pennsylvania. With partners like Steel City Codefest, Marty believes Inclusive Innovation Week demonstrates how the City and outside organizations can all work toward a common goal. “We can all be under one umbrella and bring our networks together and see that we’re all part of this idea of inclusive innovation in Pittsburgh,” says Marty.